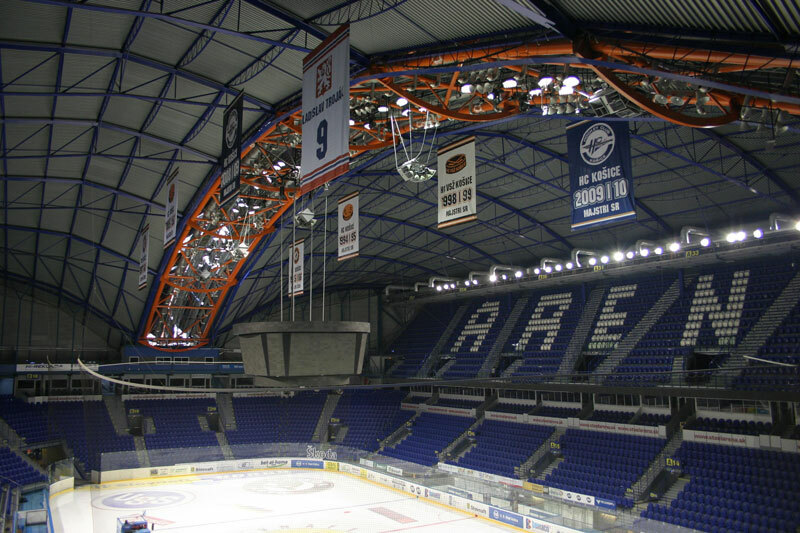 The 8,000 seat Kojice Steel Arena in Slovakia is a typical acoustically challenged sports arena made more difficult by the fact that the pitch is ice. The owners decided they had to rectify the poor performance of the earlier sound system and so approached Citylight, who are Funktion-One representatives in Slovakia, for a system solution within a very tight budget. Citylight consulted with the Funktion-One technical department to arrive at an AX88 based system with additional F118 bass for full range music reproduction. 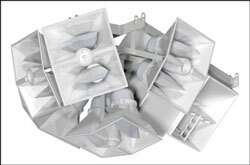 19 x AX88 speech-range and 10 x F118 bass enclosures were installed last Summer with Funktion-One designing and providing all rigging metalwork. The end result was an extremely pleased client with spectators who have subsequently written letters praising the new system. The outstanding efficiency, intelligibility and directivity contributed strongly to the success of this installation. These qualities have also make the product successful in theatre applications where natural voice reproduction is essential.